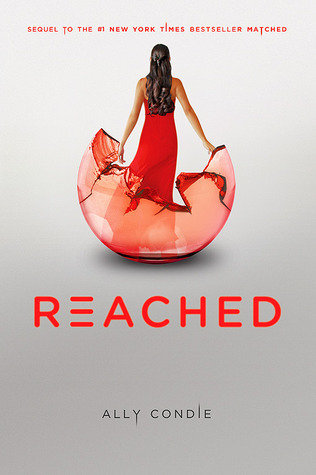 Summary (from Goodreads): After leaving Society and desperately searching for the Rising—and each other—Cassia and Ky have found what they were looking for, but at the cost of losing each other yet again: Cassia has been assigned to work for the Rising from within Society, while Ky has been stationed outside its borders. But nothing is as predicted, and all too soon the veil lifts and things shift once again. My Summary: After finally being reunited with in The Carving, the Cassia and Ky were forced to separate in order to better serve The Rising. It's been months since Ky and Cassia have seen each other, and now they may never get the chance: a deadly illness has swept the nation, and even The Rising and The Pilot seem to be at a loss. Nobody knows what to do about the illness that has claimed thousands of lives, and nobody can see a way out. Meanwhile, Xander is working as a medic in a center designed to house those who've fallen ill. Unable to do much, he watches on in horror as those he knew are overcome by the disease. Will the three friends ever be reunited, or was the short-lived victory of The Rising all for naught? My Thoughts: Ally Condie, why must you insist on breaking my heart? The third installment in the Matched trilogy didn't disappoint! There's something about this trilogy - you'd think it would be difficult to understand with the amount of conspiracy theories and things going on, but it's actually very straightforward and easy to understand. I loved the ending and the way everything ties together. Another thing about this series: I love the way the characters change so subtly. You don't even realize it. They change so fractionally throughout the whole series, but by the end you can see just how much these little changes have altered the person. As usual, the poetry fit perfectly with the tone of the novel - I swear I've got Do Not Go Gentle memorized. There's something about poetry... when you use it correctly in a novel it makes all the difference. Final Thoughts: I definitely recommend this series to anyone who is a fan of dystopian novels with some romance mixed in. Fans of poetry and prose will really enjoy it. I am truly ashamed to admit I have never, ever, read this series. I have no valid excuse either. I MUST read at least book 1 before too long huh? Your review for book 3 was rather good and I am glad it kicked me into action to finally read the series! This is typical of the third book in a trilogy: The first two are excellent and fast-paced, so you look forward like crazy to the last book, and then it doesn't quite live up to your expectations. Still. I have to read it.